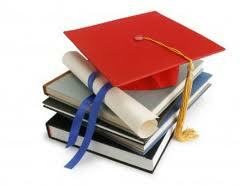 Education in West Bengal, West Bengal Higher Secondary Education, West Bengal Education. The authority of both private as well as public sector is associated in providing Education in West Bengal. The education system which we are seeing today has been constructed by the British missionaries as well as social reformists of India. There are many reputed institutes in west Bengal that is associated in providing higher education. System of education in a particular state depends on the action of authorities associated with the same. The authorities have conducted much trial and error method to provide a better scope of Education in West Bengal. There was a time when the government schools that have been sponsored by the state government were not in a good condition. The low performance of such schools has been shown in the report published by many education departments and the ministry of education under the state of West Bengal. Thus, today people from well to do family prefers to send their child to private schools and colleges. Even the political leaders are not concerned about improving the system of Education in West Bengal. Rather, they also prefer private schools and colleges. The Government of West Bengal is working really hard to provide best possible facilities to all the children studying under Education in West Bengal. The schemes such as Mid day meals and Sarvya Siksha Yojana is also carried on under the primary education in West Bengal. Due to the facility of mid day meal, very poor children are coming every day to school in order to get meal. Even if they don't find pleasure in studying, the facility of mid day meal have brought them to study. Higher Education in West Bengal is far better than that of primary education. People from influential families have already provided a better scope of education to their children by making their admission in private schools and colleges. But there are many students from poor background but due to their talent, they have go admission in the popular and prestigious institutes like Jadavpur University, Presidency College, IIT, IIM etc.